Everyone knows owning a car involves much more than the purchase price. There’s taxes, insurance, registration fees, gas, and maintenance, among other costs, which means that the price tag for new cars can sometimes be almost beside the point after years of ownership. Kelley Blue Book is here to help, crunching the numbers on those extra costs and declaring some winners and losers. In the seventh edition of their 5-Year Cost To Own Awards, they said that, across the board, Hyundai was the cheapest brand to own and maintain for five years after purchase, while Acura came out on top for luxury brands. There’s also the Porsche Panamera if you want to go really nice. What sticks out to me is the high number of Chevys on that list, and the relative lack of winners from the two others among the Big Three—though Jeep Wrangler’s win won’t surprise anyone, since the depreciation of the Wrangler remains impressively low. 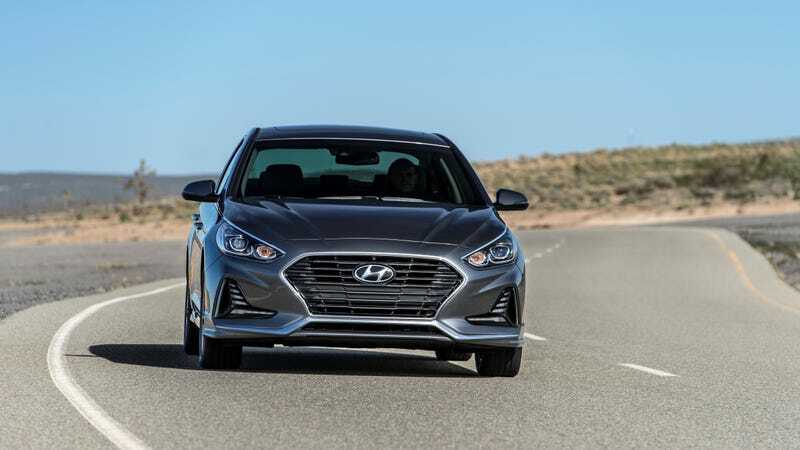 What stands out for Hyundai, KBB says, is that most of the cars are relatively cheap to begin with; they also have a good warranty program, making repair costs low. You’re reading that right: $43,629 over five years just to own a new car! Don’t think about it too much.